Happy Friday everyone! After a tropical interlude, #FrenchFriday is back on track! 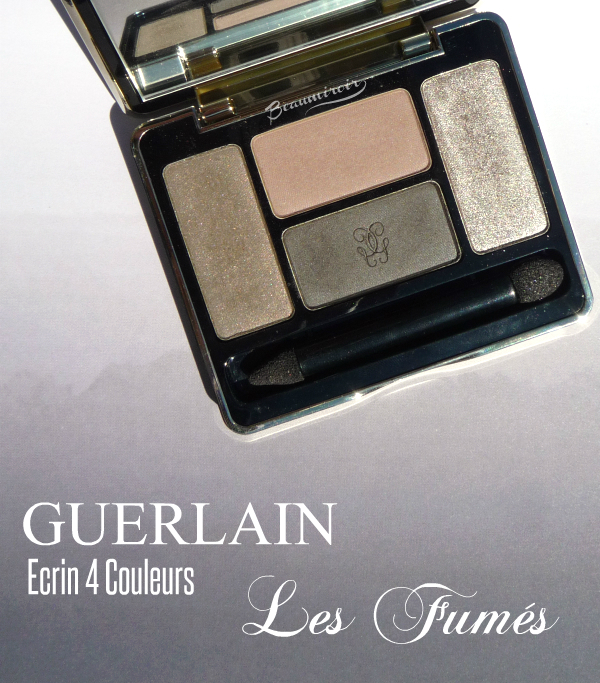 This week, I want to show you a little piece of French beauty luxury, an Ecrin 4 Couleurs quad by Guerlain called Les Fumés. 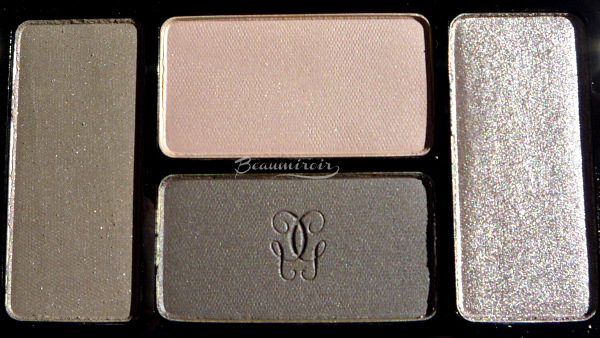 This quad is not part of the latest palette launch by the brand (the newer quads that have embossed shadows, like this), it's in the old-school range. It may eventually be phased out, but for now it's still easy to find at Nordstrom. You may have read disappointing reviews of the newer quads, with apparently dry, powdery shadows, but don't give up on the old ones if you haven't tried them yet: I think they're better quality! 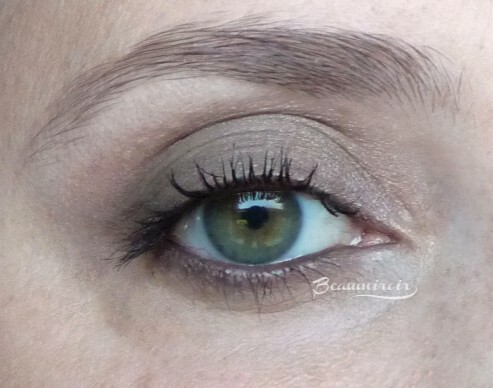 Although "Les Fumés" means "the smokeys", this isn't your typical smokey-eye palette. No black, grey and white, not even a brown version of it. This palette's color combination is definitely unique in the smokey-eye world. It contains a medium brown with subtle rose shimmer, a muted beige-y rose, a deep brown, and a medium beige shimmer. All these colors look literally smokey, as if the pure colors were covered in a veil of grey smoke. They have a distinct muted, "dirty" quality and lean very cool. 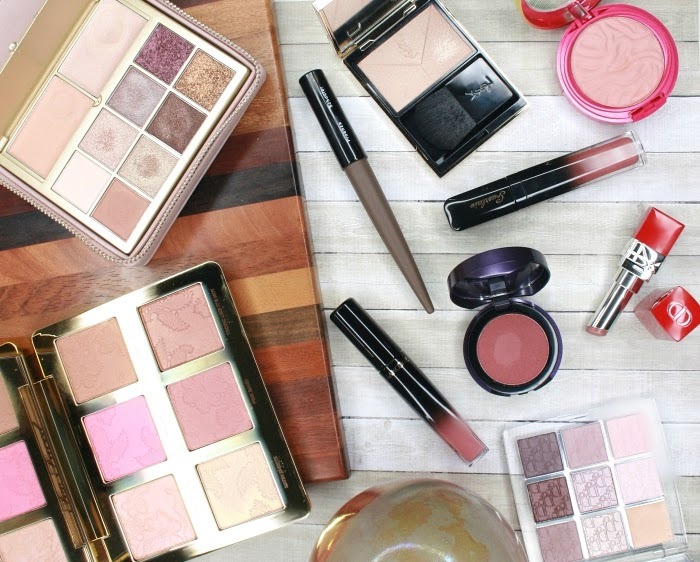 For me this palette exemplifies the successful use of "faux-matte" by luxury brands - something that seems to have been lost in the newest iteration of the Ecrin 4 Couleurs. Let me explain this concept: they're shades that look basically matte on the skin, but if you look closely in the compact, or even if you swatch heavily and observe them in direct sunlight, you'll see that they have a tiny little bit of shimmer. They can't be called satin though, because they really have no visible sheen when applied on the lid. 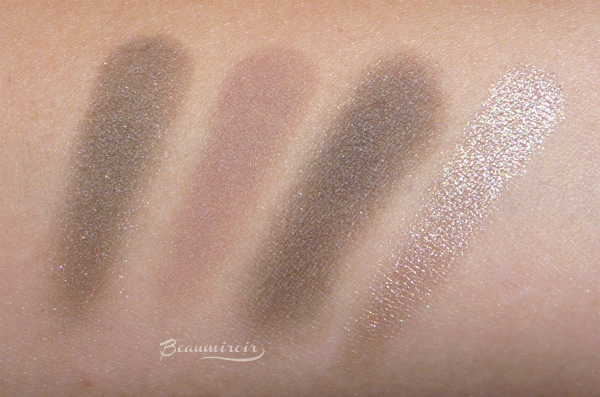 In this palette, the deep burnt brown is one of these faux-mattes. So what's the point, and why incorporate shimmer if it doesn't translate when applied? The point is that it keeps them from looking completely flat and unforgiving on imperfect skin, a common problem with true mattes. They're also typically less powdery and more luminous than regular mattes. It's all very subtle, and it's something that Guerlain can do particularly well. - The medium brown on the left is really soft, nicely pigmented and blends very well. It appears to have rosy shimmer in the compact and when swatched, but that translates into a subtle satin finish on the lid. - The muted cool rose, on top, is a buttery, silky soft matte with great pigmentation. This is not the kind of shade I'm normally attracted to, but I've come to realize that it makes a perfect transition/crease shade that plays extremely well with the other colors in this palette. - The deep, sooty brown on the bottom, the faux-matte, is a bit stiffer and less intense than the other shades, but still very blendable. It's best used as a liner or outer corner shade. - The medium beige shimmer is a soft, highly pigmented metallic. It can be applied at full intensity for a metallic accent, or more lightly for the perfect brow bone highlight. The fact that it's not a very light color adds to the general smokiness of the look. None of these shades cause any fallout at all for me, there's no excess powder kicked when I swirl my brushes in the pan, and they last the entire day on primer. 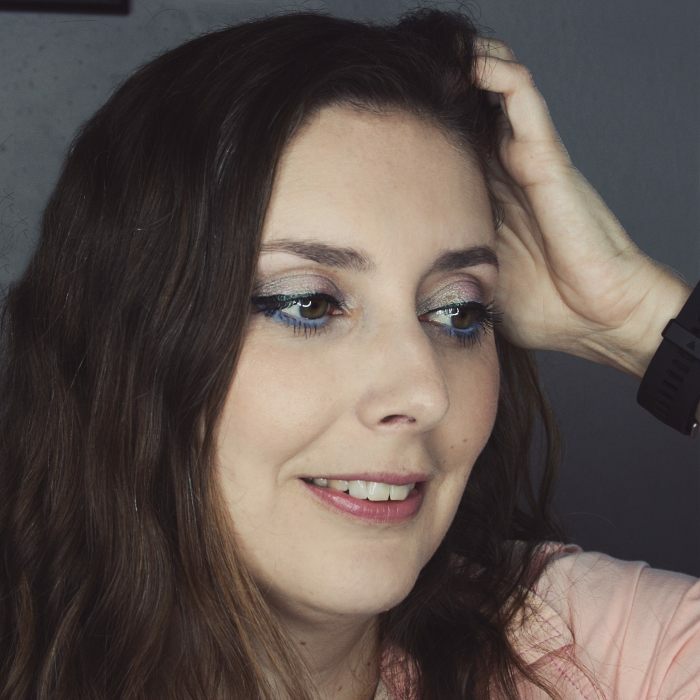 My favorite makeup look with this palette is also very simple: I apply the shimmery beige in the inner corner, the medium brown on the lid, the deep brown in the outer corner, lower lash line and waterlines, and the muted rose in the crease. 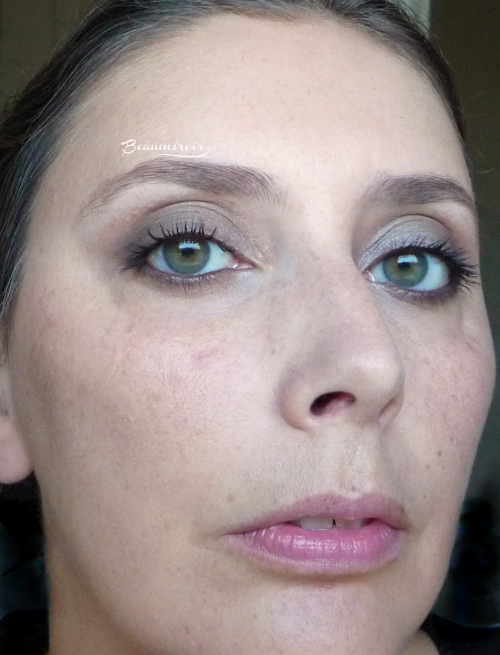 I finish with a light sweep of the shimmer under the brow, and voilà! It's easy, fool-proof and intense without being so dramatic that it would only be appropriate for parties. I find this look really flattering and elegant too. That's what I'm wearing on the pictures in this post! 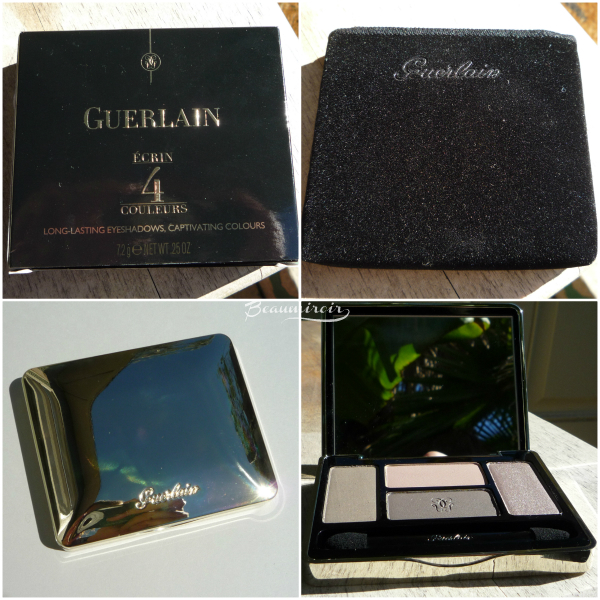 Overall: Guerlain Les Fumés is everything I want a luxury eyeshadow palette to be. It contains high-quality shadows in subtle finishes and features a unique color combination for a classy, unconventional smokey eye look. 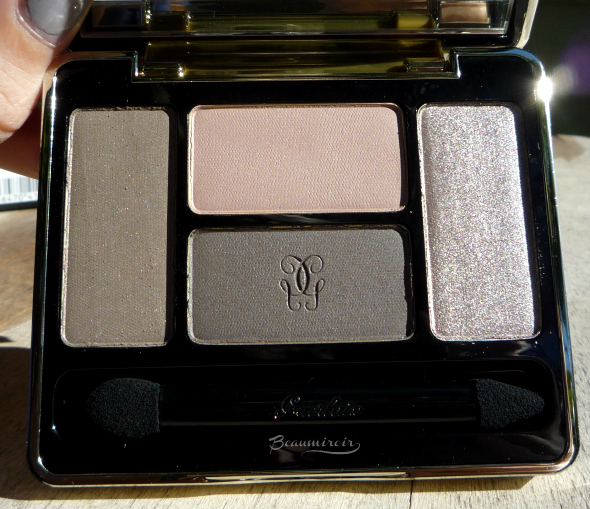 For alternate pics and swatches, take a look at Gummy's post about this palette. Where to find? At this time, at Nordstrom. Note that they have the wrong picture for Les Fumés.